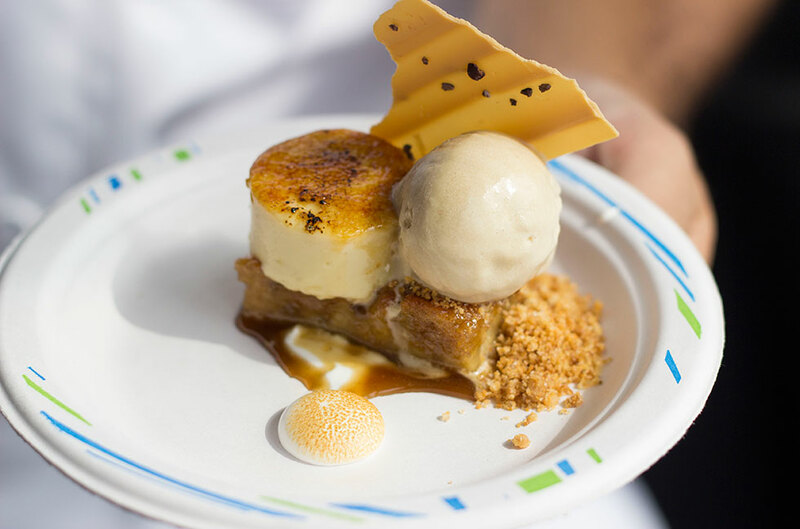 This year’s NYC Food and Wine Festival was held at Pier 92 on the West Side Highway from October 16-19, which meant for 4 whole days, New Yorkers and visitors alike indulged in some of the country’s best food and mingled with some of the world’s most famous chefs. 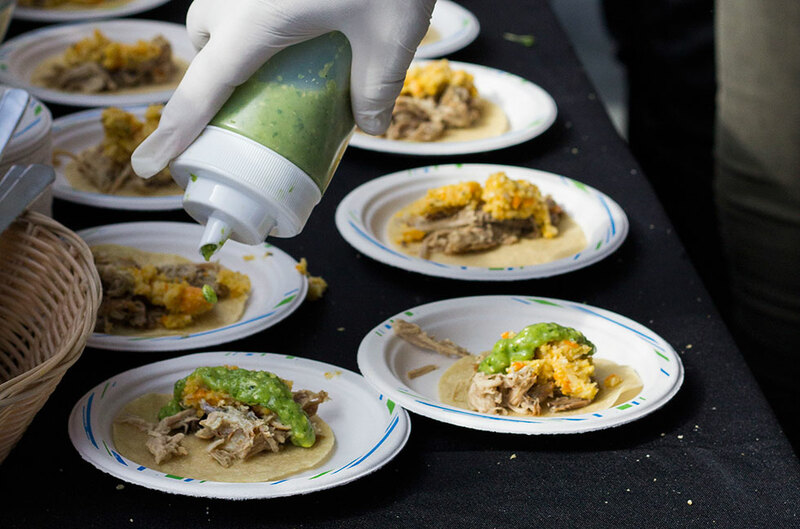 We stopped by on the 18th for the big Jets + Chefs: The Ultimate Tailgate event. Ultimate tailgate it was. 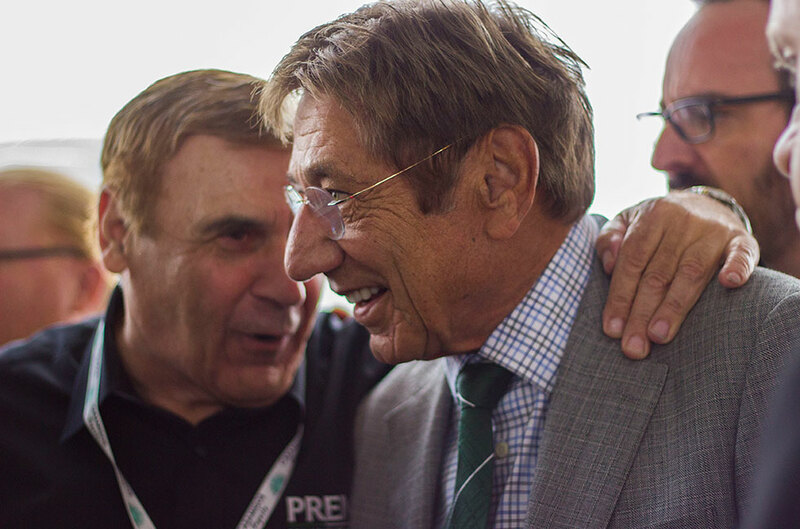 It was hosted by Joe Namath, former Jets quarterback from the 1960s, and Mario Batali, celebrity chef. The star duo brought together great food and football for three hours of food, drinks, music, games and giveaways. There were also other Jets football players and cheerleaders there for photo ops. Food? Celebrities? Desserts? More food? Obviously we had going to be there. 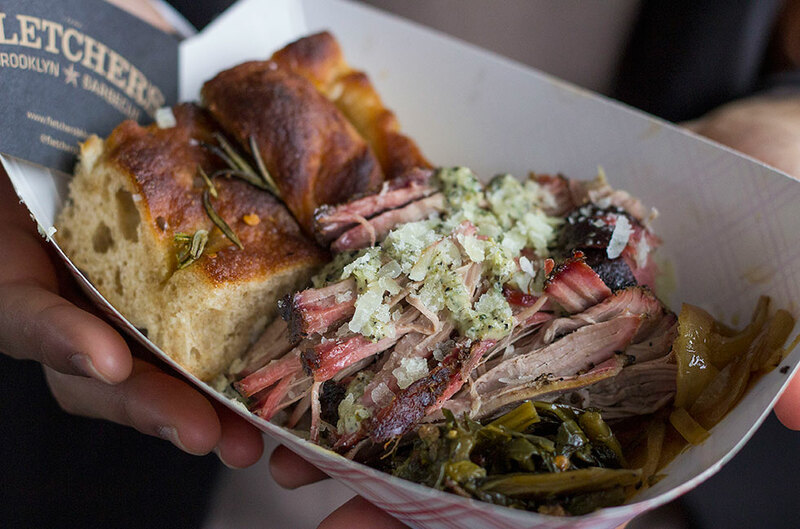 We couldn’t miss a chance to taste food from restaurants all over New York City at this relaxed, outdoor tailgate. There were numerous mouth-watering foods and desserts, but we had a few particular favorites. 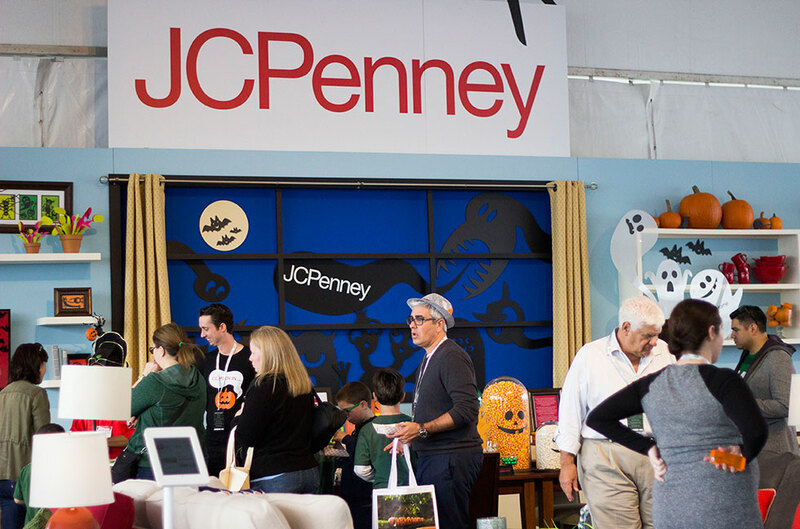 First, we stopped by the JCPenney display filled with Halloween candy, craft activities for the kids and a fun photo op (check out our Twitter post). Plus, they gave us a set of 4 16-0z. Monogrammed Beer Mugs ($80 value) and one Charcoal Companion® 3-pc. Grill Set ($30 value) to give away to our readers. SCORE! Enter to win it at the bottom of this post. Fletcher’s created this masterpiece by serving pork and manchego, a Spanish cheese with a spicy kick, with collard greens and fresh focaccia. At its Houston Street location, Miss Lily’s serves up this Jamaican concoction made of cucumber escovitch and fermented scotch bonnet chili paste. This bite was super spicy with a hit of Miss Lily’s Jamaican Rass Hot Jerk BBQ Sauce. This dee-lish taco is made with roasted suckling pig, pickled vegetables and chicharron. The sauce is made from typical guacamole ingredients (avocados, lime, etc. ), but the chefs gave us the secret to the unique taste: tomatillos, also known as the Mexican Husk Tomato or green tomato. This dish was a blend of classic savory flavors: sour beer with rich cabbage and tender pork shoulder. Eager diners can check out Bear Restaurant’s Long Island location for even more Eastern European goodness. The chef and owner, Natasha Pogrebinsky, often purchases ingredients from the Union Square Farmer’s Market-one more reason to buy local. At this point, we realized we had to save room for dessert, so we headed for the dessert stands and worked our way through chocolates, pastries, puddings and other sweet bites. The soft, warm banana bread and ice cream was the perfect combo for dessert after eating all the meat-based options above. This one is definitely as good as it looks. Mini Sweet Kolaches at Brooklyn Kolache Co.
Another Brooklyn-based vendor, Brooklyn Kolache Co. offers an unusual Czech pastry: kolaches. Sweet and creamy, the pastry practically melts in your mouth. 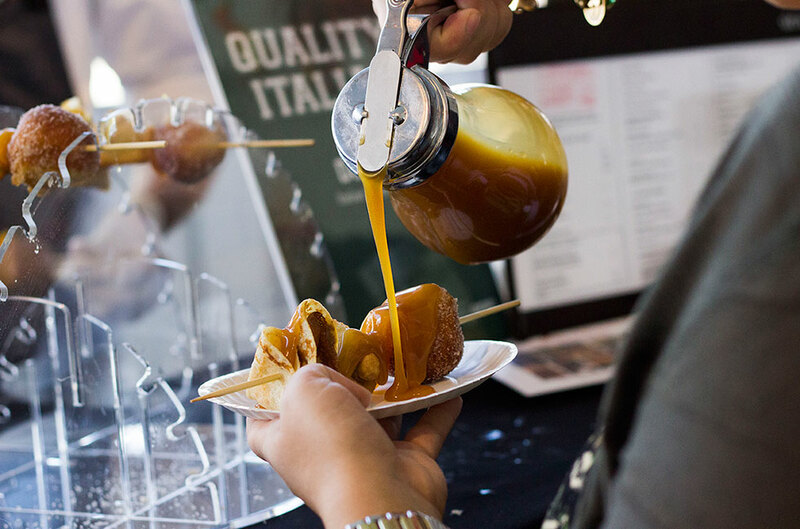 Quality Italian offered a fondue-esque dessert, with the chef drizzling a caramel sauce on top of a mixed pastry skewer for a sweet triple-threat. Sysco Metro NY, a food services company, created Randy’s Rum Balls: bite-sized cake-pops made with chocolate and dark rum. Needless to say, we had an incredible food and celebrity-filled day, and now we’re excited to share with you a little somethin’ somethin’ from our friends at JCPenney. Enter to win before it’s too late!